For the most of us who have not heard of the Jews who lived for thousands of years in Ethiopia, much less of their recent exodus to Israel, here is a story starting around 950 BC that you may find intriguing. My friend Eric Gandy and I attended the weekly meeting of the Stockholm International Rotary Club on March 15 to listen to Bengt Nilsson, a journalist and documentary film producer. His presentation centered on the relationship between the Queen of Sheba and King Solomon of Israel, and of the historical (or alleged) journey of the Ark of the Covenant from Israel to what is now Ethiopia. He has written a novel, Makeda, Queen of Sheba (currently, only in Swedish), which explores these facets of history and legend. His presentation was in English. (Note: Eric had much to do with the research and writing of this article). Mr. Nilsson recounted the history of the Jewish people from earliest days, on to the times of their enslavement in Egypt, their escape under the leadership of Moses around 1200 BC, and then to his receiving from JAHWEH (God) the Ten Commandments inscribed on tablets. These writings were the laws which were to be followed by the Jews as their part of the covenant (contract) between God and the Jewish people. 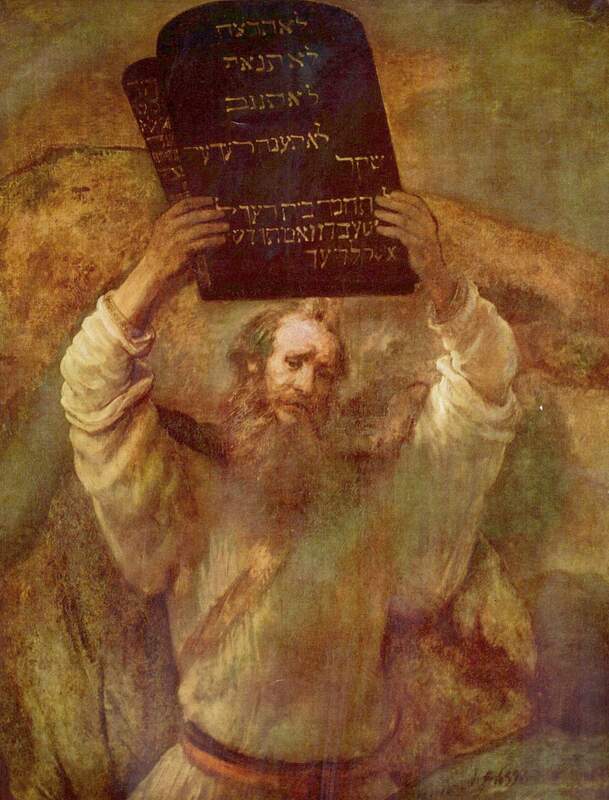 The Jewish people were to inherit the land God promised to Father Abraham, and now God had given them the Commandments which they must keep and observe as their part of the covenant. The tablets were the material reminder of the covenant. In 1770 AD, Scottish explorer James Bruce, while looking for the source of the Blue Nile River, encountered the remnants of a large Jewish community in the mountain highlands around Lake Tana, in the northern province of Gondar in Ethiopia. He estimated this community then comprised about 100,000 persons. Their ancestors had been living there for centuries and called themselves Beta Israel – the House of Israel. One half million Jewish settlers were estimated to have lived in the area at one time, but time and circumstance had diminished their numbers. Bruce described the peoples of Ethiopia as shepherds, warlike, of great size, prodigious strength, hunting lions, elephants, rhinos and other monstrous animals for food. They were rich in gold and silver, but had no grain or bread. The Jews of Ethiopia followed the Torah. Their neighbors called them Falashas – alien ones, the invaders – even after hundreds of years of coexistence and intermarriage, and with the same physical characteristics as the majority of people in Ethiopia. Bruce elicited from the Falashas the legendary history of how their Jewish ancestors came to be in Ethiopia. I offer here a brief summary of the rich story told to James Bruce, recounted to us by Mr. Nilsson, and which can be more fully seen under several of the links in this article (all major sources will be offered in the endnotes). The Queen of the land of Sheba (much larger than now encompassed by the borders of Ethiopia) had heard, possibly from Jewish travelers and traders from across the Red Sea on the Arabian Peninsula, of the great ruler of Israel, King Solomon. She wanted to learn from him about how to be a good ruler of her people and to establish trade relations, among other things. She traveled in a great caravan to Israel and brought Solomon gifts from her country. 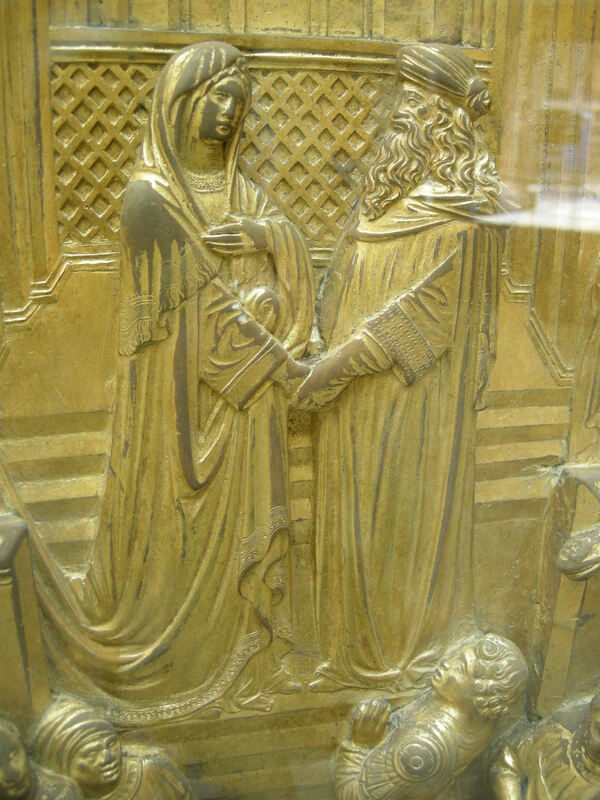 She stayed around six months and, according to legend, cohabited with Solomon only once, shortly before her return home. From this brief union a son was born: Menelik. When he was 20 years old, he traveled to Israel at his mother’s pleasure, in order to present himself to his father, Solomon. The great king accepted Menelik as his own and gave him a charge: to transport the Ark and its Covenant to Sheba for safekeeping, as his country was under great threat at the time, and he was growing old and weary. (There are other accounts which are quite different, but this is the account presented by Bengt Nilsson and which is supported by the tradition of the Ethiopian Jews). Over the centuries, the descendants of Menilek and the Jews who accompanied him from Israel, the Beta Israel, came to number many tens of thousands and to have ruled their own community for significant periods. The Beta Israel enjoyed relative independence through the Middle Ages, but the fortunes of the Jewish community in Ethiopia were affected by events both within and outside the region over the course of centuries. Christianity spread throughout the Axum dynasty in the 4th century AD. By the 7th century Islam was spreading from the north. There was intermittent fighting with other tribes and the Beta Israel lost their autonomy after a battle in 1624 described in one account as an attempt to eradicate forever the Judaic memory of Ethiopia. Survivors were enslaved and forbidden to own land. Despite persecution and discrimination, the Jews remained in Ethiopia. The situation for the Beta Israel worsened when the Mengistu dictatorship took over after Haile Selassie’s regime collapsed in 1973. In connection with Mengistu’s coup many Jews were killed and many more made homeless. In 1980 Ethiopia banned the practice of Judaism and teaching of Hebrew, while members of the Beta Israel were harassed and imprisoned. (Source: Jewish Virtual Library). In 1973 the Israeli Ministry of Absorption prepared a report on the Beta Israel ethnic group which stated that the Falasha were foreign in all aspects to the Jewish nation. 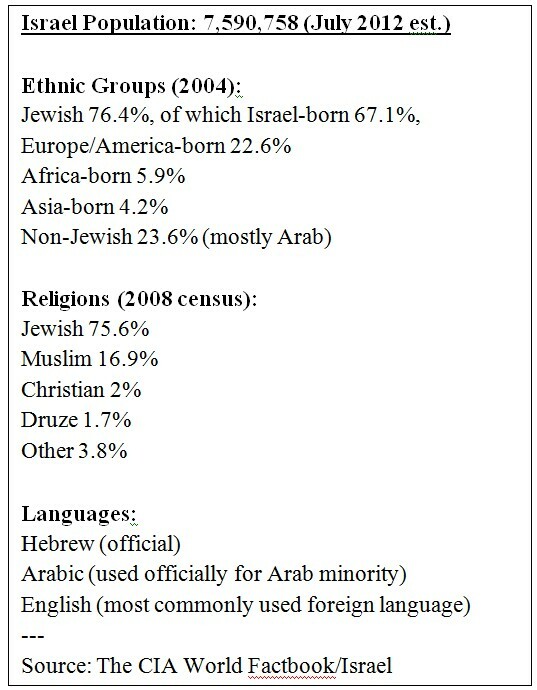 The report concluded that there was no need to take action in order to help the ethnic group make Aliyah to Israel. Shortly after the publication of this report, Rabbi Ovadia Yosef, the Sephardi chief rabbi, decreed that the Beta Israel are a descendant tribe of Israel and that giving them a proper Jewish education and the right to immigrate to Israel was a Mitzvah. Subsequently, Israel officially applied the Law of Return (Aliyah) to the Beta Israel community. In the absence of full diplomatic relations with Ethiopia, The Israeli Mossad contacted officials in Sudan. 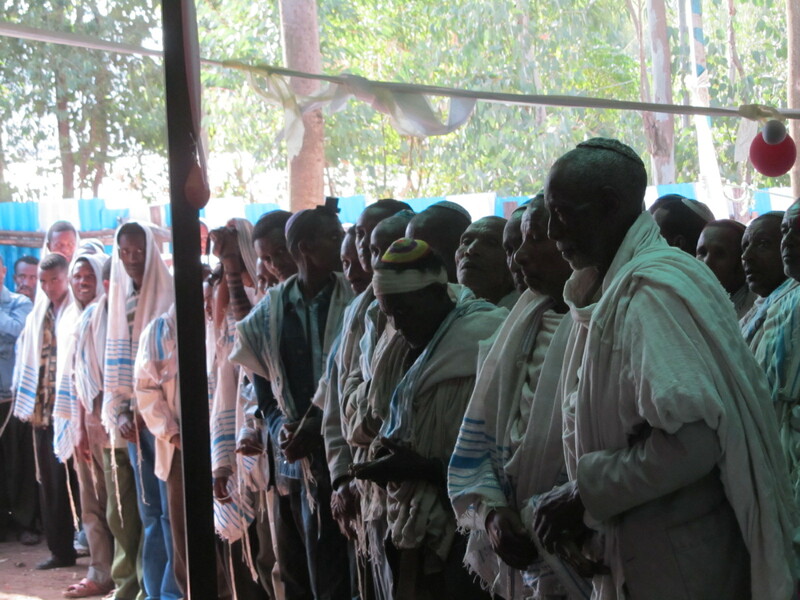 Thousands of Beta Israel community from Ethiopia traveled by foot to the border with Sudan, and waited there in temporary camps until they were flown to Israel. Between the years 1977 and 1984, these immigrants were led from the camps to Israel by means of vessels of the Israeli Sea Corps, and by air. About 8,000 made a dangerous journey to Israel during which about 4,000 Beta Israel perished from disease or hunger or were killed by bandits. After it became clear that the immigrants who remained in the Sudanese camps were in danger, it was decided to pursue an operation of intense immigration, nicknamed “Operation Moses“, during which Israeli aircraft brought about 8,000 more immigrants to Israel. Entire families undertook long and dangerous treks, which often spanned whole months. As a result of the difficult journey and bad conditions, hundreds, possibly thousands, of Beta Israel Ethiopians died on the way to the Sudanese camps. The operation ended prematurely, after a press leak in Israel regarding Ethiopian Aliyah via Sudan to Israel. After the media exposure to the operation, the Sudanese government was dismissed, and relations between Israel and Sudan were soured. Missionary activity intensified at the end of the 19th century and large numbers of the Beta Israel community converted. These people who had once been Jews, or whose ancestors had been Jews, are referred to as the Falash Mura. The Falash Mura did not refer to themselves as Beta Israel until after the latter had begun to immigrate to Israel. The Falash Mura were virtually unknown until Operation Solomon, when a number attempted to board the Israeli planes and were turned away. The Falash Mura said they were entitled to immigrate because they were Jews by ancestry, but the Israelis initially saw them as non-Jews, since most had never practiced Judaism and were not considered by the Beta Israel as part of their community. Activists maintained that the Falash Mura had been forced to convert or had done so for pragmatic reasons without ever really abandoning their Jewish faith. The North American Conference on Ethiopian Jewry (NACOEJ) provided aid to the group in Addis Ababa, the capital city, who had not returned to their homes after being left behind during Operation Solomon. Once food and medical care became available, more Falash Mura left their villages for Addis Ababa, and soon began to overload the meager resources of NACOEJ. In 1997, the government agreed to a one-time humanitarian gesture to bring to Israel everyone in Addis Ababa with some connection to the “seed of Israel.” Afterward, the camps were to be closed and future immigration was to be based on the criteria used for immigration from all other countries. Israel brought the 4,000 Falash Mura then in Addis Ababa to Israel in groups rather than all at once. This stimulated more Falash Mura to come to Addis Ababa in expectation of similar treatment. After an initial estimate of fewer than 10,000 Falash Mura, the number soon increased to more than 30,000. In early 2001, nearly 20,000 Falash Mura remained in camps in Gondar and Addis Ababa. The Falash Mura received additional support in 2002 when Rabbi Ovadiah Yosef declared that the Falash Mura had converted out of fear and persecution and therefore should be considered Jews. In January 2005, Prime Minister Ariel Sharon declared that all of the Falash Mura from Ethiopia would be brought to Israel by the end of 2007. But Israel realized that it could not bring in thousands of Ethiopians without the cooperation of the government of Ethiopia. In November 2005, Ethiopia and Israel signed an understanding to double the rate of Ethiopian immigration to Israel from 300 to 600 (per month). In 2007, an estimated 3,000 Falash Mura lived in Addis Ababa and another 12,000 in Gondar City. Altogether, approximately 18,000 Falash Mura were believed to still be in Ethiopia. The last official airlift of Ethiopian Jews landed in Tel Aviv on 5 August 2008, bringing to an end Israel’s 30-year effort to bring all of the Jews to Israel. A month later, the Israeli Cabinet agreed to allow additional Ethiopians petition for aliyah. Some activists maintain that still more Jews remain in Ethiopia, but the government said it had brought the entire community to Israel, a total of roughly 120,000 people. Still, more Falash Mura remained in Ethiopia after the “final” airlift. Several thousand were in a Gondar transit camp as of the end of 2009. 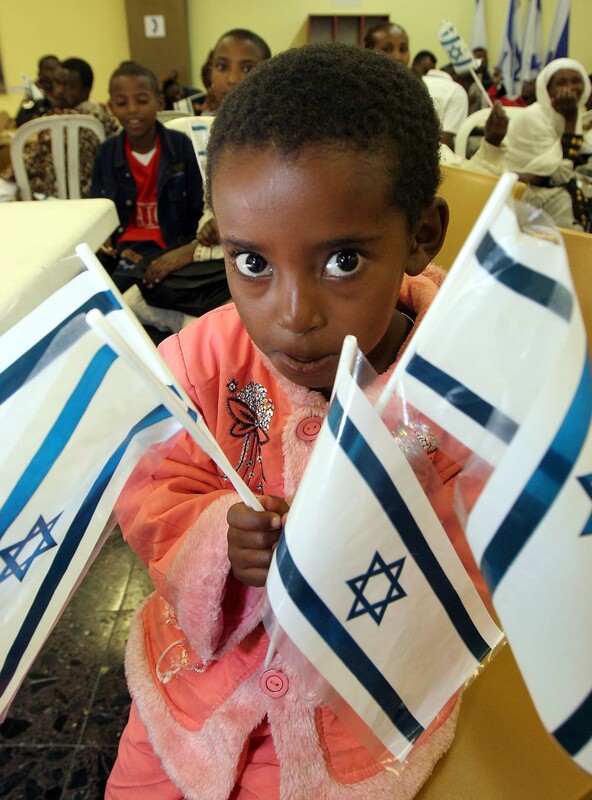 In early January 2010, Israel began to accept small numbers out of Ethiopia again. The Israeli government said it would now accept approximately 3,000 Falash Mura. Where is Ark of the Covenant? Mr. Nilsson did not state categorically that the Covenant, and the Ark containing it, were in Ethiopia, but no one can say categorically that it isn’t. Mr. Nilsson prefers to believe the account of the Ethiopian Jews; that is, the Ark was first ensconced on the island of of Tana Kirkos in Lake Tana, where it remained for over 800 years. When the Axumite kingdom converted to Christianity after 331 AD, the Ark of the Covenant was co-opted by the Christian hierarchy and brought from Tana Kirkos to the newly constructed church of St. Mary of Zion in Axum, where it remains under the guardianship of the church. (Source). Many of the references listed in the endnotes will point to, or state, different accounts. You are invited to explore these. According to orthodox Jewish people and Hebrew Bible, the First Temple was constructed by Solomon, the then King. This was also known as Solomon’s Temple and it dates back to the 10th century B.C. This Temple was the centre of orthodox Jewish belief and ancient Judaism. The Temple stood for around 400 years until Nebuchadnezzar and the Babylonians destroyed it in 586 BC. There was a Second Jewish Temple built over the first one. Construction started in 537 BC and was completed in 516 BC. This Temple too was destroyed, by the Romans. In 19 BC, King Herod started the renovation with a vision of a grander Temple. However as soon as the complex was complete it was razed to the grounds by the Romans. After the destruction of the Second Temple, all Jews have included a prayer for the construction of the Third Jewish Temple in their daily prayers. (Source has left the Internet). Plans for building the Third Temple in Jerusalem are under this link. The Ark of the Covenant is under the Temple Mount, in the Holy of Holies, awaiting its imminent placement in the Third Temple foretold by the Prophets and destined to become a House of Prayer for All Peoples. (Source). The holiness of the Ark also made it dangerous to those who came in contact with it. When Nadav and Avihu, the sons of Aaron, brought a foreign flame to offer a sacrifice in the Tabernacle, they were devoured by a fire that emanated “from the Lord” (Lev. 10:2). 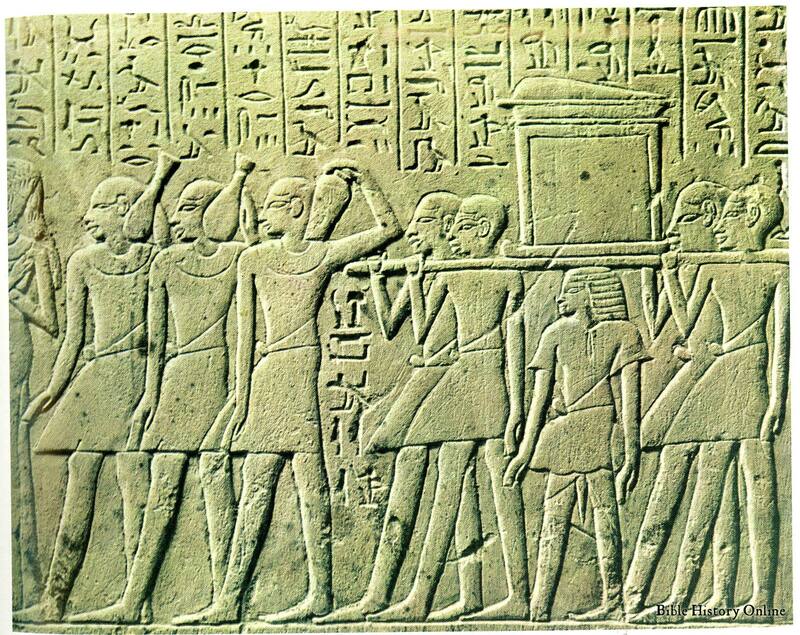 During the saga of the capture of the Ark by the Philistines, numerous people, including some who merely looked at the Ark, were killed by its power. Similarly, the Priests who served in the Tabernacle and Temple were told that viewing the Ark at an improper time would result in immediate death (Num. 4:20). (Source). Whatever its powers were when it could be identified as to place and time, the powers of The Covenant are visible today in the great interest it, and its Ark, elicit in historians, archaeologists, religions “of the book”, and in writers such as Mr. Bengt Nilsson who introduced the subject to me and Eric Gandy. Now you have been affected, in some way, by the reading of this narrative. This entry was posted in Church & Religion, History and tagged Ark of the Covenant, Axum dynasty, Bengt Nilsson, Church of St. Mary of Zion in Axum, Ethiopia, Falash Mura, James Bruce, King Solomon of Israel, Menilek I, Queen of Sheba. Bookmark the permalink. Such an interesting story, Ron. Now you make me want to read even more about the fascinating history and plight of Ethiopian Jews. Thanks, Kim. There is no paucity of information on the subject, via the Internet.